Mandarins are a vibrant and welcome sight during the cooler seasons. They're so handy to pop in a lunchbox or to have as an on-the-go healthy snack. Emperor mandarins are a delicious variety that ripen in mid-winter, so are at their peak this month. Emperors are extra easy to peel as they tend to have loose puffy skin. Emperor mandarins will grow in all but the coldest areas and prefer a sunny location with well drained soil. Grafted dwarf emperor mandarins grow no taller than about two-metres, so are perfect for small backyards and can also be grown in a large container filled with good quality potting mix. Mandarins, like other citrus, are heavy feeders and require lots of nutrients to support all the foliage, flowers and developing fruit. 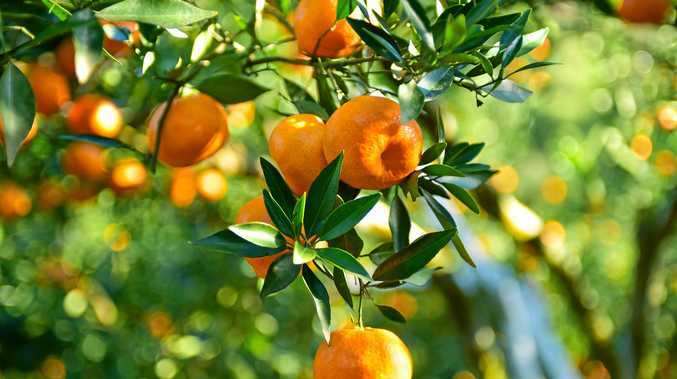 From spring until the mandarins are harvested, feed each week with a citrus plant food. Sometimes mandarins will produce fruit only every second year (called biennial or alternate bearing). To help minimise this, remove some of the fruit when it's still small and green, which reduces the drain on the tree's energy reserves. Growing a range of varieties, including emperor, imperial and honey murcott can provide fruit from late autumn through to early spring.